I haven’t seen numbers this big since, well, since the last film Sonam produced and headlined!!!!!!!! Which isn’t a sign of her star power, but it is a sign of her industry savvy. Neerja and Veere Di Wedding were hard movies to get funded and make, and they both made just amazing box office. People love these movies, and want to watch them, even if all “common wisdom” says they shouldn’t. What are these amazing numbers? How about $10,000 per screen on 99 screens in America? You read that right, TEN THOUSAND. That’s more per screen than a Khan has brought in since Dangal. And before Dangal, Bajrangi Bhaijaan. That means every single show all weekend was completely sold out. Which matches my experience, I went to the 1:40 show on Saturday, not a terrible time but not the best time, and it was completely sold out, even floor seats. The same theater had a 9:40am show, and a 11pm show, and I bet they were sold out too. In Canada, on 15 screens, it made $11,000 per screen. That’s the same per screen as Carry On Jatta 2, also opening this weekend, and one of the biggest Punjabi films of the year. In the UK, $3,000 which isn’t that impressive except that the UK hates EVERYTHING. In Australia, $8,319 per screen on 41 screens, better than Carry On Jatta 2, and Australia is Punjabi territory. New Zealand, $8,000 per screen too. It even did well (comparatively) in Germany! $800 per screen, which is good for a non-Shahrukh film in Germany. So, what’s happening here? Well, I think there might be a couple of things going on. First, why re-invent the wheel? It’s a Hindi film based around a wedding with a lot of songs. That’s all people want. And that’s what the poster promised, bright colors and big clothes and lots of fun. We just had the surprise hit earlier this year of Sonu Ke Titu Ki Sweety which was completely different in message, but had a very similar tone, big songs and bright colors and a wedding. Second, and this is true across all industries around the world, the female audience will turn out for a female lead film. Hollywood keeps having these “surprise hits” when it makes comedies about women, and I keep thinking “why the heck were you surprised? They always hit!!! !” Hindi film, usually, manages to balance it’s audience, something for the men and something for the women. That’s part of the beauty of Masala, something like Main Hoon Na manages to take a moment for Amrita Rao and Kirron Kher’s story along with Shahrukh Khan and Zayed Khan. But Hindi film also has plenty of films that are just for the men like, for instance, Sonu Ki Titu Ki Sweety. So why not give us a film that is just for women? The male audience can manage to relate across gender lines just like the female audience is used to doing, and the female audience will turn out again and again to watch it. And third, the audience is changing. For a bunch of reasons. Let’s start with high ticket prices. It used to be (and this is true around the world, not just for India) that movie tickets were the cheapest entertainment you could buy, so if you wanted something you could do with the whole family, movies were it. You could take out your wife and your 3 kids and your mother-in-law to a movie without breaking the bank, so why not? But now tickets are getting expensive and movie outings are going from a nice thing to do with the whole family, to a special event. The audience is no longer all ages, it is more and more narrowing down to that 18-38 age range when you have disposable income and want to get out of the house. And this film is aimed right squarely at that group. There’s also the reason the ticket prices are getting higher, to make up for the slump in ticket sales as TV and streaming take over. And that slump is coming because, more and more, the family audience is choosing to stay home, Ignoring the price issue, it is a hassle to get the whole family over to the movie theater. Especially now that more and more theaters are closing making the remaining few harder to reach. And so it’s easier to just stay home and watch something on your big TV. Unless, again, you are in that 18-38 range. And finally there’s the multiplex phenomenon and the global audience phenomenon. If you want the highest ticket prices possible, you need to aim your movie at upper middle class disposable income types. You don’t want to relate to the male laborer any more, you want to relate to the educated office worker. And again, this movie hits that spot. One final thing I noticed watching it. In my theater, it was mostly young people, but there were also children and at least one very elderly man. I am guessing they were brought in by the bright poster and cheerful title. And you know, I wasn’t that uncomfortable about it! Yes, the language is super raunchy. You definitely wouldn’t want your child going out and repeating it. But how many of those kids are fluent enough in Hindi to even make the attempt? And there are a few scenes that are a little explicit. But no more than, for instance, some of the stuff Singh is Bling did with Amy Jackson. If parents were ready to explain that away as a “special hug” or whatever, they can explain this. And at the heart, it is a pretty simple positive story about families coming together and accepting yourself and true love and all those good things. So, to sum up, Veere had a shockingly high box office for 3 reasons: 1. the poster and title sold it as a good old-fashioned wedding movie; 2. The female audience will always turn out for a female lead picture; 3. The people buying movie tickets right now are upper middle-class urban types between 18 and 38, and that is who this film is aimed at. 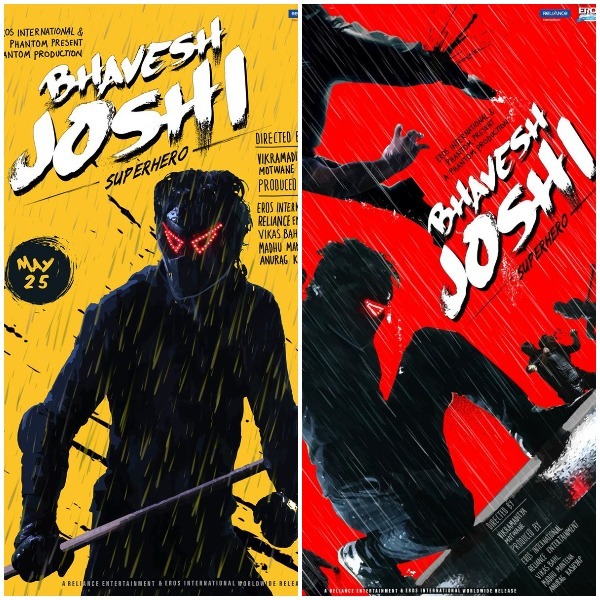 Oh, and then there’s Bhavesh Joshi Superhero. Less than $1,000 per screen in America and even worse in other markets. Really a terrible flop. For kind of the reverse of the reasons that Veere hit. The poster and the title sold it as a weird weird movie, not something you had seen before, which isn’t necessarily something the audience will want. the male audience will NOT necessarily turn out for a male film. They get loads of movies with male heroes and male friendship and so on, they don’t need to make a special effort. The people buying movie tickets right now are upper middle-class urban types, and they don’t want their films to challenge them to make the world better, they want films that will sooth them and tell them everything is okay. This entry was posted in Box Office and tagged Bhavesh Joshi, Box Office, Carry On Jatta 2, Veere Di Wedding by mredlich21. Bookmark the permalink. Yay, this means there will be a crowd when I see this next weekend. I wish it would also make it easier for future women led films to get made but we already know that never happens. Bleah. On another note, I had no idea Sonam was so savvy at the business side of things. I wonder if she’ll just give up on the acting side eventually. Sonam gave some really interesting interviews in the past year or so as she was trying to get Veere off the ground. Interesting because of her argument, but also because they showed she really has a firm grasp on the economics of the industry. She was talking about star power and budgets and comparing this film with that film and really knew what she was talking about. And she was arguing that it was ridiculous that Veere Di Wedding couldn’t get any funding based on Kareena’s past movies that made this much or that much and all of these other details, and it was a clear gender bias. Too often the gender argument gets into a dead end around pure salary, but that’s not the issue, it’s the larger sense of whether or not a female star can “open” a picture, and that is what sets the salary, and that is what Sonam was talking about. Also, they arranged filming around Kareena’s pregnancy and treated it as a wonderful happy thing instead of a curse that was destroying their picture. Kareena did most of the schedules in her first trimester, and then came back to finish up a few months after giving birth, and did promotion type stuff while she was pregnant, and Sonam set a tone of “isn’t it wonderful my friend is having a baby” instead of “I can’t believe you were horrible and ruined my movie”. I love the group interviews for this picture. Kareena was so thrilled with the numbers in that conversation with Rajeev Masand, you can tell she felt the stakes were high and opening like this is a big deal. I also just love the chemistry among the four of them, the way they take different leads in an interview. I do wish Sonam would let Kareena talk more! Her perspective is different, she has a depth of experience that the others, for all their refreshing boundary pushing, can’t yet match. How was box office for bhavesh joshi compared to veere? At least for the global market, pitifully low. 5% per screen of what Veere was doing. I’m surprised Bhavesh is doing so bad. I know what kind of movie it is (thanks to your review) It wasn’t made to be a blockbuster, but I thought more people will be interested. Good director, interesting posters and trailers, something new. Why so bad? And WHY it was released the same day with Veere? I don’t understand it. VKV has stolen all attention, and in my opinion Bhavesh should have been released a week before. There weren’t any big release last week, if I remember well. What do you think? Bhavesh was supposed to release last week, I don’t know why it didn’t. I agree, it really should have. The only competition was John’s movie. Maybe they thought it would be easier to go up against a non-action movie this week instead of splitting the action audience last week? Or maybe they wanted the sibling rivalry storyline for some reason between Sonam and Harsh?